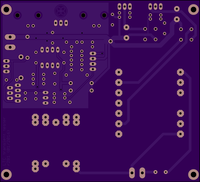 2 layer board of 6.11 x 3.55 inches (155.1 x 90.1 mm). Uploaded: March 22nd, 2019 11:21. 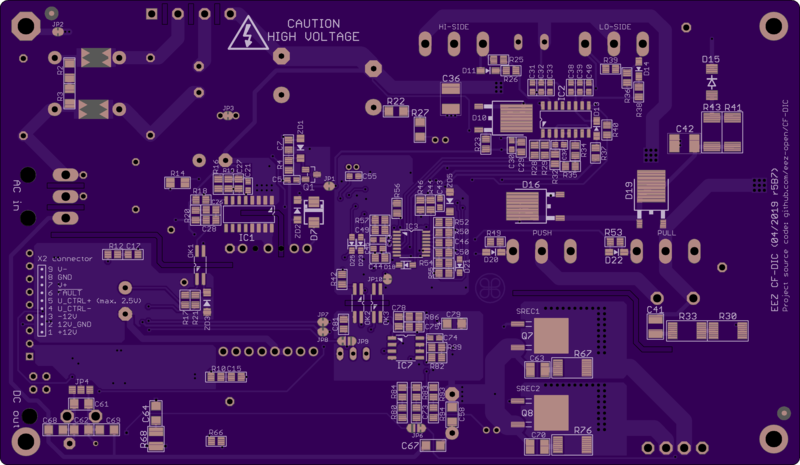 Open source wide input and wide output range (2.5 to 52.5 V, 5 A) power pre-regulator for variable bench power supplies. 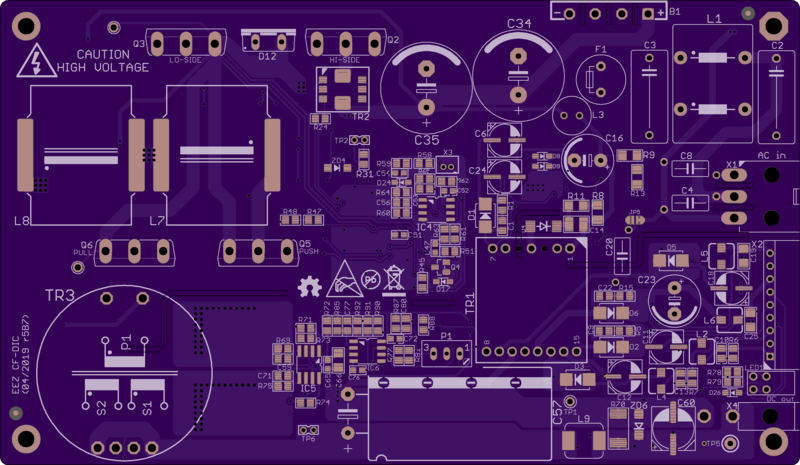 More info on project site and GitHub. 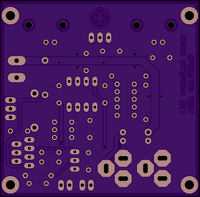 2 layer board of 13.27 x 5.91 inches (337.1 x 150.1 mm). Uploaded: November 4th, 2017 23:16. 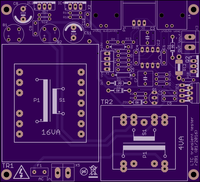 Set of 4 PCBs required for open source dual channel SCPI programmable power supply EEZ 24005. For more info about project visit home page, and GitHub. 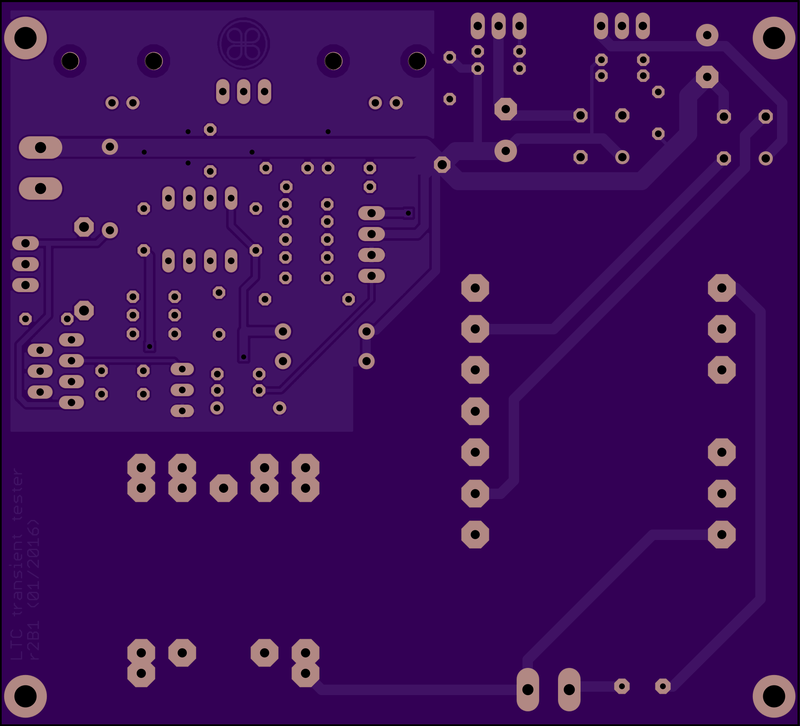 2 layer board of 2.33 x 2.29 inches (59.3 x 58.3 mm). Uploaded: January 17th, 2016 13:14. 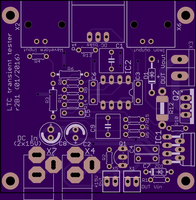 LTC’s AN104 closed loop load transient tester without power supply. For Eagle schematic, BOM and more info please visit EEZ on GitHub. 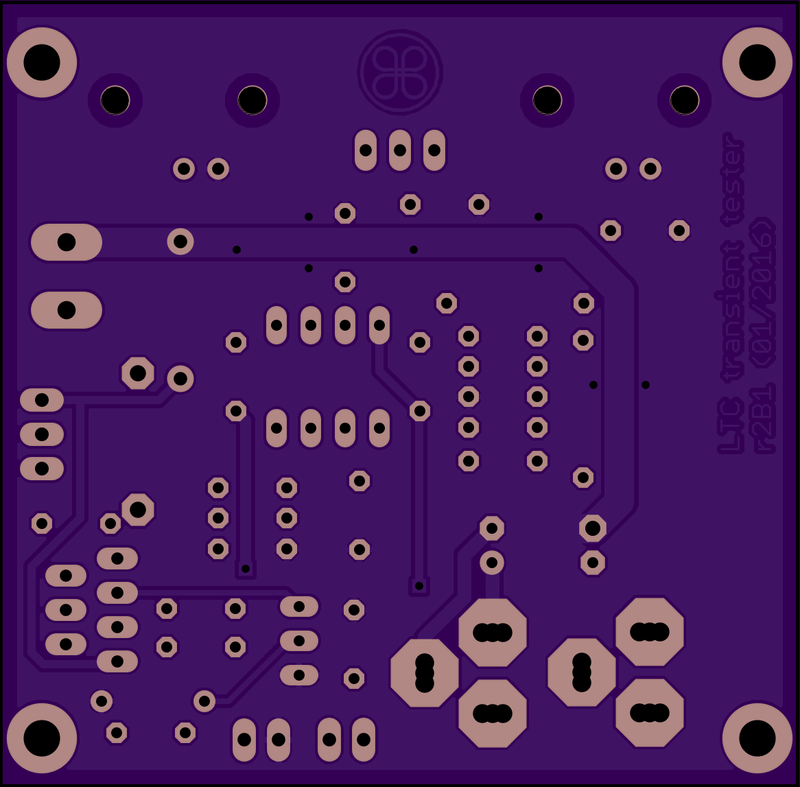 2 layer board of 3.83 x 3.48 inches (97.3 x 88.3 mm). Uploaded: January 17th, 2016 13:00. 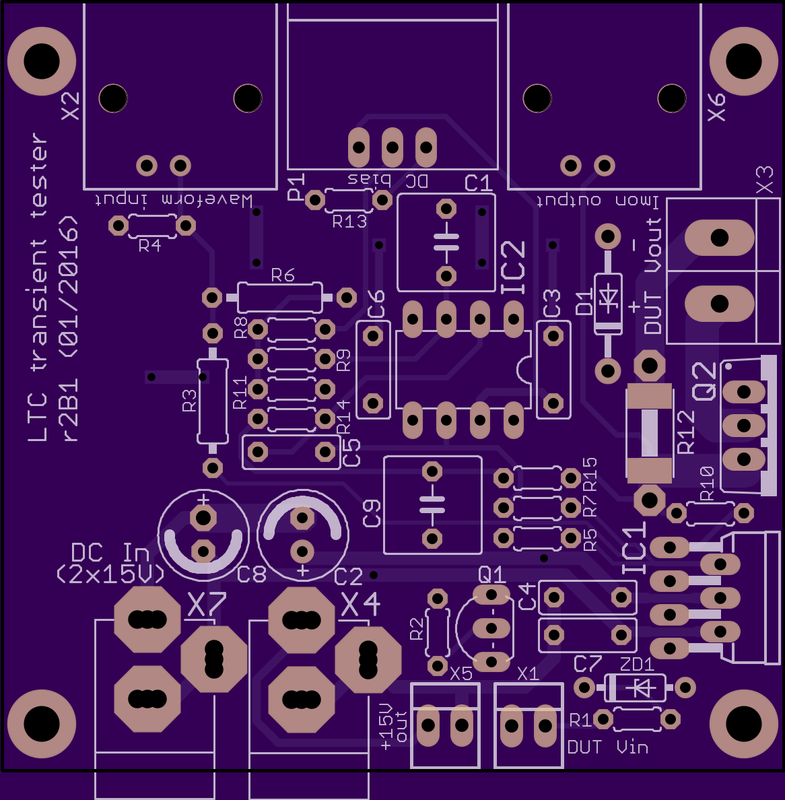 LTC’s AN104 closed loop load transient tester. 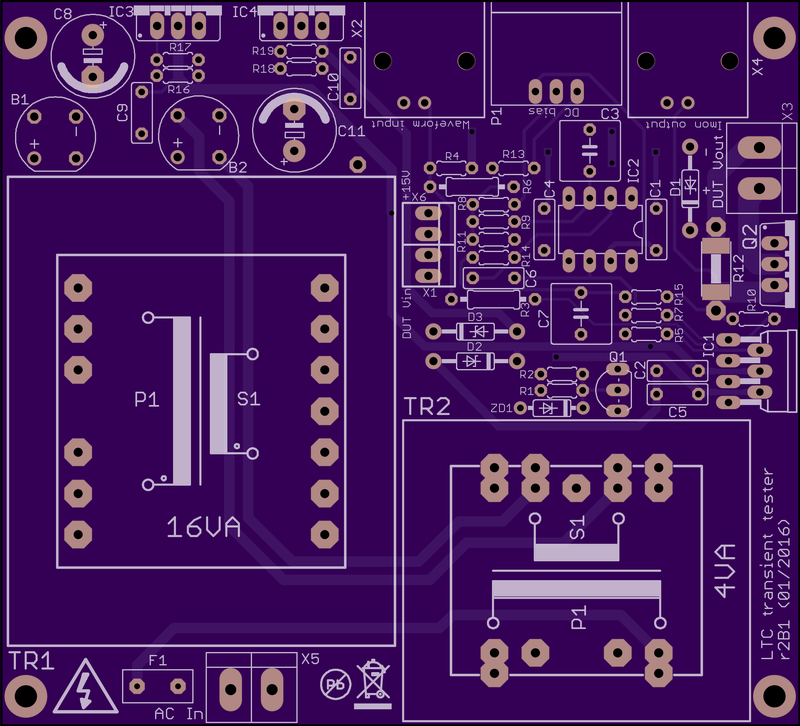 For Eagle schematic, BOM and more info please visit EEZ on GitHub.